Looking for DEWA Jobs ? We are updating all latest jobs directly from DEWA Careers page. So all jobs are real and original , so no need to worry fake job postings. 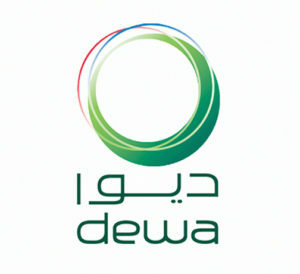 You are going to apply with DEWA company website. Not with wedado.com. Dubai Electricity and Water Authority (DEWA) is the exclusive provider of electricity and water services to the people of Dubai. DEWA is one of the most advanced utilities in the world and is working to increase its share of clean energy to achieve the Dubai Clean Energy Strategy 2050, with targets to generate 25% of Dubai’s total power output from clean energy by 2030 and 75% by 2050. DEWA has a workforce of over 11,000 employees and manages the entire chain of electricity and water, from electricity and water production to transmission and distribution to its customers. DEWA’s vision is to become a sustainable innovative world-class utility. Working with us you will have opportunities from day one to develop your own skills while contributing directly to the organization’s mission. DEWA is committed to personal development and to compliment your own initiative with job focused training programs available throughout an individual’s career. We have regular openings for National Graduates and offer online search of employment opportunities at DEWA. If you meet the basic description above and you are interested to join and contribute at DEWA, feel free to apply for any of these vacancies.DEWA constantly looking for talented workforce who can contribute to the success of DEWA.For a stimulating and rewarding career, we encourage you to register today.